Excessive government secrecy in the name of counterterrorism has had a corrosive effect on democracy and the rule of law. In the United States, when controversial national security programs were run by the Bush and Obama administrations - including in areas of targeted killings, torture, extraordinary rendition, and surveillance - excessive secrecy often prevented discovery of those actions. Both administrations insisted they acted legally, but often refused to explain how they interpreted the governing law to justify their actions. They also fought to keep Congress from exercising oversight, to keep courts from questioning the legality of these programs, and to keep the public in the dark. Similar patterns have arisen in other democracies around the world. 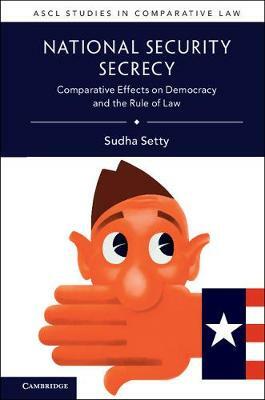 In National Security Secrecy, Sudha Setty takes a critical and comparative look at these problems and demonstrates how government transparency, privacy, and accountability should provide the basis for reform.